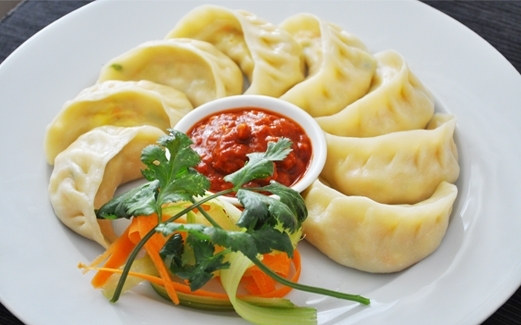 Steamed dumplings filled with minced chicken, chive, green onion & special spices. Served with tomato­sesame chutney. 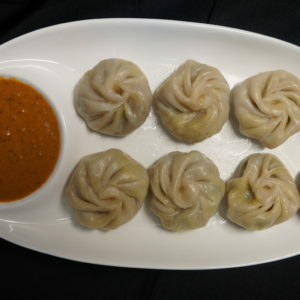 Famous Nepali dish.